Hudson's Bay has a Flash Sale today! 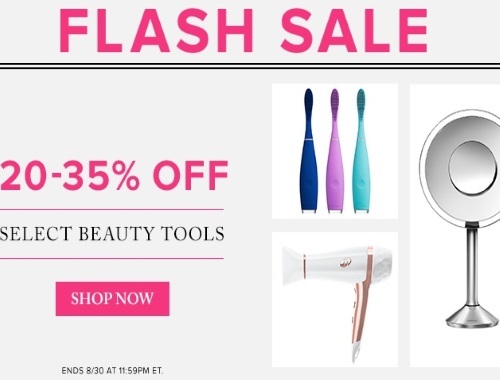 Save 20-35% off select beauty tools. This includes items from SimpleHuman, PMD, Foreo, T3 and more! Prices as marked. Offer valid on select styles only. Online only. Offer ends 11:59pm ET August 30, 2017.